This product is no longer available. The BI2200 has been updated to the new Orion line of pinless moisture meters. Click here to see how the MMC line compares to the new Orion line. The BI2200 building inspection meter is ideal for building or home inspections and is designed to provide comparative, relative moisture content (MC) readings for common building materials that need inspections to identify problems or potential problem moisture areas in a home or building. Stucco, plaster, drywall, tile, shingles, roofing, linoleum, wood, and more. 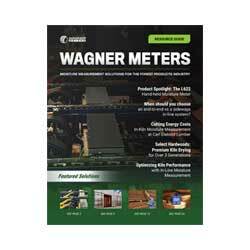 Specifically designed for the building or home inspector, the BI2200, using state-of-the-art electromagnetic wave technology, provides a non-invasive tool for measuring a wide range of materials including wood, synthetic stucco, plaster, drywall, insulation materials, ceramic tile, shingles, linoleum, concrete, and more. 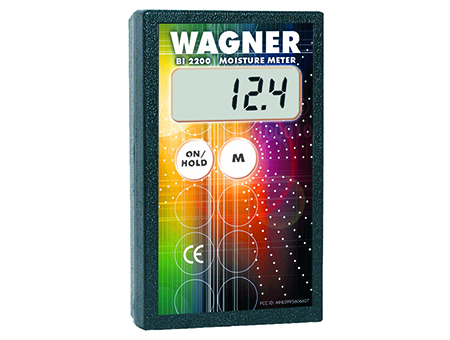 The BI2200 Building Inspection Moisture Meter provides a general comparison moisture indication for inspection applications that only require relative* MC readings. By establishing a baseline of a known dry MC relative reading on a building material, the BI2200 can then compare and pinpoint elevated MC problem areas or conditions. The BI2200 is programmable for numerous building materials and its two-button control makes one-handed operation simple. Designed with a Teflon™ pad to protect the sensor area on rough or abrasive surfaces, the BI2200 can provide a relative* MC reading on building materials without damage to the material’s surface. The BI2200, with its Press and Hold feature, lets you get into tight places without needing a visual line to the meter display. Beneath a sink, under a cabinet overhang, or in a tight corner, with the Press and Hold feature you can take the relative* MC reading and the display holds the reading once the meter is removed, letting you quickly and easily document the readings during your inspection. Easy to use and with a wide range of programmable building materials, the BI2200 is a reliable, state-of-the-art tool for the building or home inspection industry. *The BI2200 does not give precise MC percentages but is designed to provide a comparative relative MC reading for each material inspected in order to identify a problem or potential problem areas in a building or a home.